Leno (and Chelsea Handler) is one of the unfunniest “funny” people on TV. I don’t think his monologues are funny. I don’t think his scripted bits are funny. I just don’t think he’s funny. Not my humor I guess. Letterman, on the other hand, is funny (though Paul Shaffer makes the Late Show impossible to watch for me). Out of the two, I think Letterman’s the comedic genius and has me at least smiling throughout the show. Yet. For some reason, I watch the Tonight Show more than the Late Show. Jay Leno continues to beat Dave Letterman in the ratings. So much so that NBC was unwilling to let Jay leave NBC when Conan took over the Tonight Show. I think it’s because Leno makes the show more friendly for his guests and more about his guests, whilst Letterman is, well about Letterman. He makes you laugh at what he says, rather than what the guest says. So much so, I keep forgetting that the show is called Late Night with David Letterman. 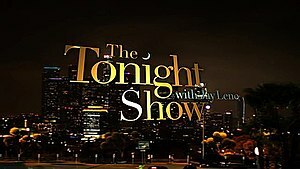 I often refer to his show as the Letterman show and Leno’s as the Tonight Show. Which then led me to think about all the superstar pastors out there. Is it good to know more about the pastor than the church? I know a bit more about Mark Driscoll and Rob Bell than their respective Mars Hills churches. And when does that get in the way of things? There must be some expectations that people come to your church with after reading your books or watching your interview on TV. What happens when those expectations are not met? Can a church sustain itself based on the popularity of the lead pastor? I like to think that it can’t. I think that’s why Tonight Show does better than Letterman’s show. People would rather watch the Tonight Show day in and day out rather than watch Dave do his thing, day in and day out. And I’m sure these pastors out there know the importance of the body and know that an entire ministry resting on the shoulders of their popularity 1) is not biblical and 2) won’t last very long. And they themselves might not last very long. It’s good to remember how ever big we may get, that from dust we came and to dust we’ll return. That Church is never about what we do, what we accomplish, how well we do, how big we are… but Church is always about God and God’s story in and through us.